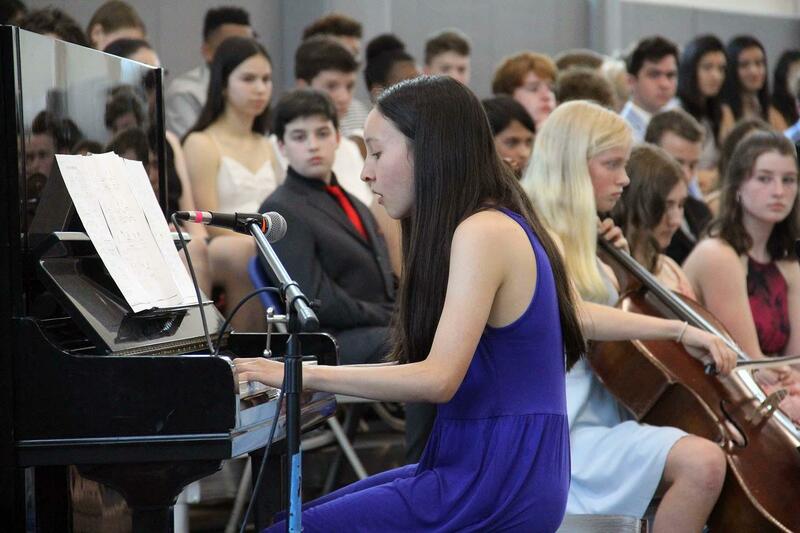 On June 15, the 52 members of the 8th grade class gathered in the gymnasium with the rest of the Northwest community for the annual Fly-up Ceremony, celebrating their graduation to the Upper School. 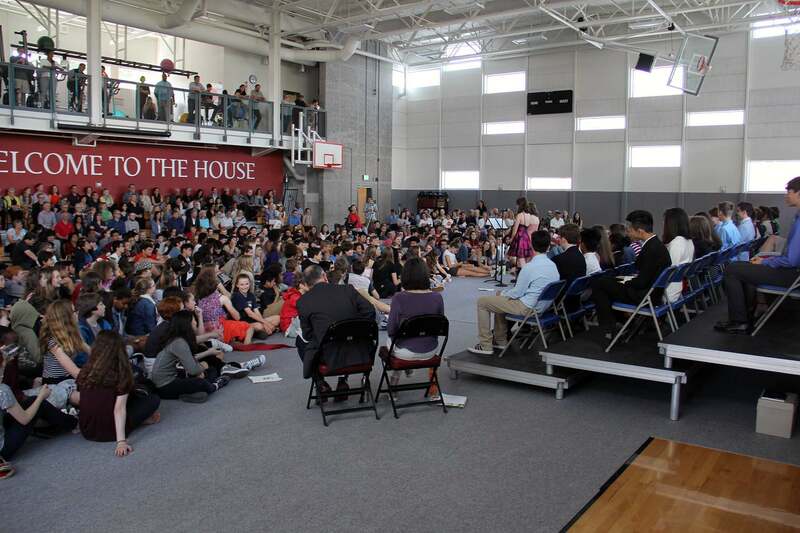 "You are equipped for the next adventure and the challenges ahead, so go for it," Middle School Director Sue Maul encouraged the students. 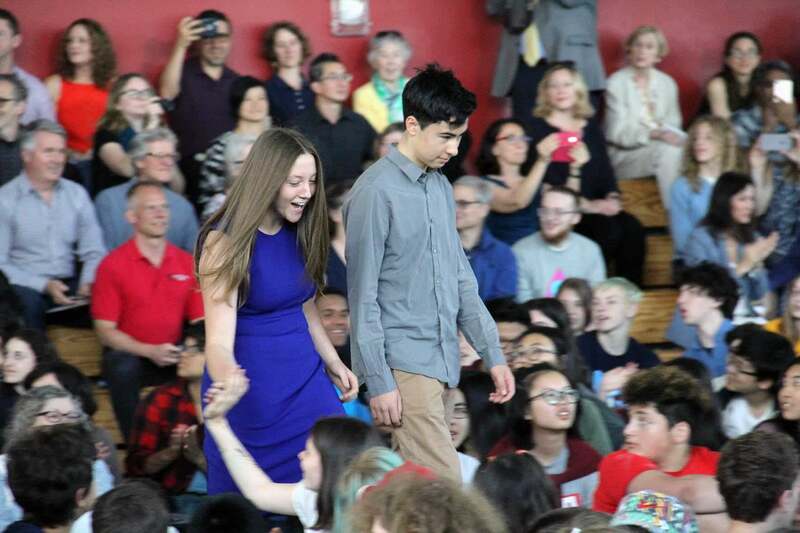 The Fly-up Ceremony featured clever jokes from the Siobhan A. and Eleanor K., the two student masters of ceremony. They helped guide along the program featuring speeches about community and growth from their classmates Kyle P., Taiya H., and Oliver C.
Wesley K. performed a fantastic solo rendition of The Who’s "Baba O'Riley," and Naomi F. and Annika W. paired up for a stellar cover of "Uncover," by Swedish songwriter Zara Larsson. 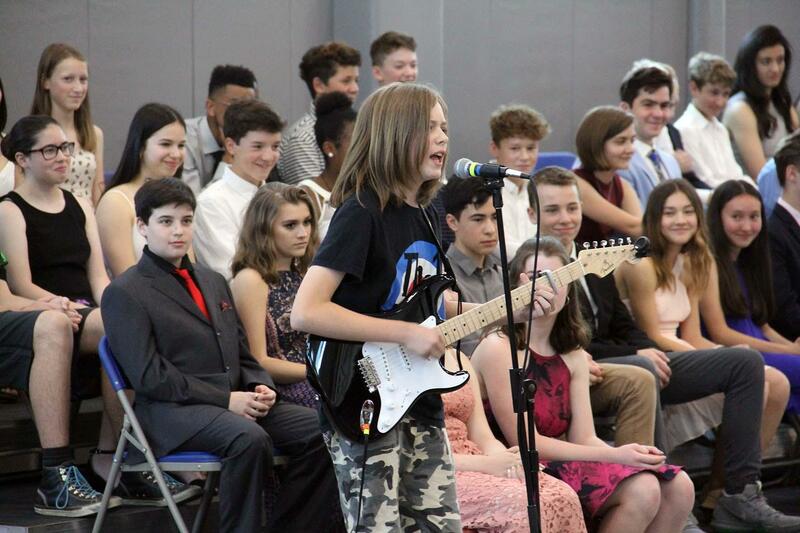 The event concluded with the 8th Grade Fly-up, where each grade at Northwest celebrates the end of the school year and visually advances, as a class, to the next grade. Click here to read all of Sue's speech.